Royal Ascot.Berskhire. England. 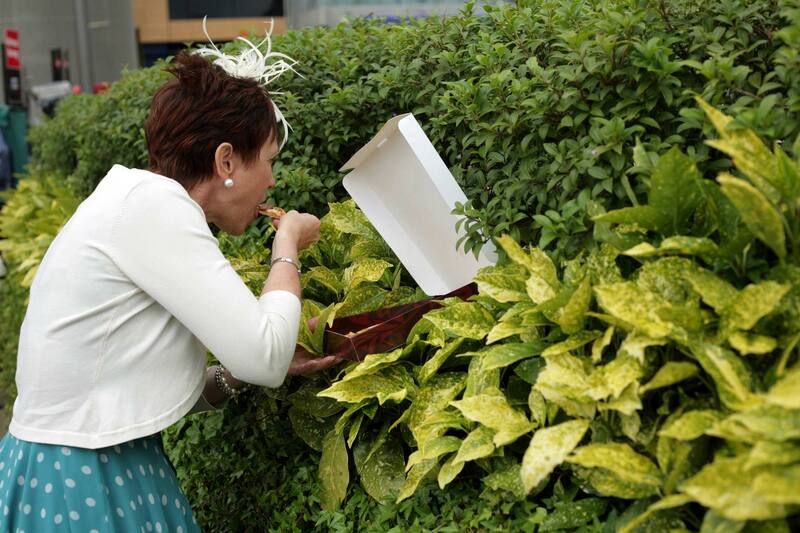 June 2009 Racegoer sneaks a pizza under cover of the bushes.